While a lot of gadget lovers really want to get their hands on a smart watch, not all of us can sadly afford the Galaxy Gear, or the other offerings on the market. The likes of Sony SmartWatch 2 and the Pebble are all above the £100 mark, and while it may not be a lot to pay if you look at how much ‘decent’ watches cost, it still is a lot for something you may have to charge once a day. 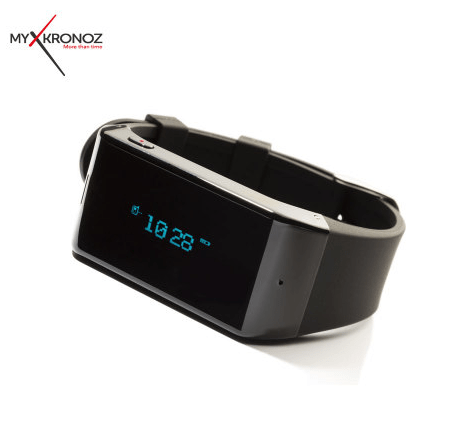 So when I came across the MyKronoz ZeWatch Bluetooth Smartwatch, I was pleasantly surprised. Costing under £60, it seemed like the ideal place to start my SmartWatch collection from. We all have to start somewhere! So, what does this ‘Smart Watch’ really do? This question is a lot more complicated than it needs to be. For example, the watch aspect of most smart watches is quite complicated. This is because most of them will not display the time at all times. You will normally need to press a button to show the time. Since I often like to see what the time is while I am cycling (trains to catch! ), having to press a button does make the whole process a bit cumbersome. Not ideal, but hey ho! The real ‘smart’ functionality this watch offers is the fact that it can let you answer and make phone calls. A built in speaker phone and microphone allows you to make phone calls. This makes this watch very much like a Bluetooth headset with a built in screen. The screen not only tells you time, but it also displays the number (and just the number, not the name) of the person calling, so it is a good way to know whether you want to accept the call or reject it. The watch also has a couple of buttons which allow you to accept or reject a call, as well as turn the volumes up and down. You can also redial using the same buttons. The other feature this watch offers is the ability to play music through it. Obviously, the watch will not replace any speakers, but it is actually a very impressive sound! Other than that, the watch will repeat any sound produced by your phone. So whether you get a call, get a text, a notification, or have your alarm going, the watch will play the sound. It also vibrates, but that only happens if you get a call, and it won’t vibrate for any other feature! 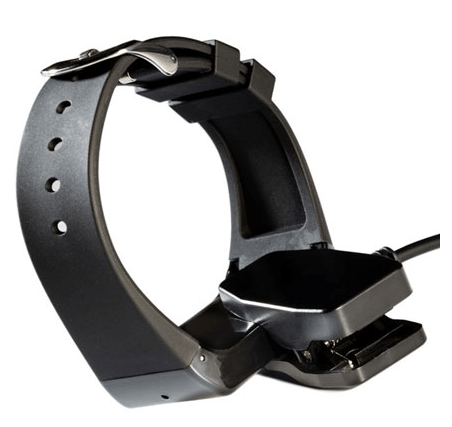 To charge the watch is quite simple, and the setup is very similar to the ones found in other watches, where you have a clip that attaches to the underside of the watch letting you charge it. It runs about 2-3 days on a full charge, which isn’t too bad compared to some of the other offerings on the market. The one thing which disappointed me about this watch was lack of any options or setup. There is no app with this, and no way to access options. For example, ability to let it vibrate every time I get a notification would be useful if I was in a meeting. Or when the alarm was ringing. This is just frustrating because you know all those options are already there in the hardware, but the software doesn’t let you use them. The potential is there, and I hope that at some stage they will update the firmware, or release a new version with those options built in. Another thing was that it did not pick up the time from the watch, and I had to set it myself. However, after that, even when the battery ran out, the time was held. One other thing that I’d also like to mention is that this watch isn’t waterproof, which means you can’t really take it in the shower or swimming with you. Once again, would be nice to have it, but it isn’t pricey enough for you to be fussy. All in all, it is a very good attempt at a smart watch, and while originally I felt like it should offer more, looking further into what the market offers right now, including the likes of Galaxy Gear, this isn’t a bad piece of kit. The fact that I can use it while driving as a Bluetooth headset is quite useful, specially since it vibrates when I get a call, and I don’t need to stick an uncomfortable headset in.